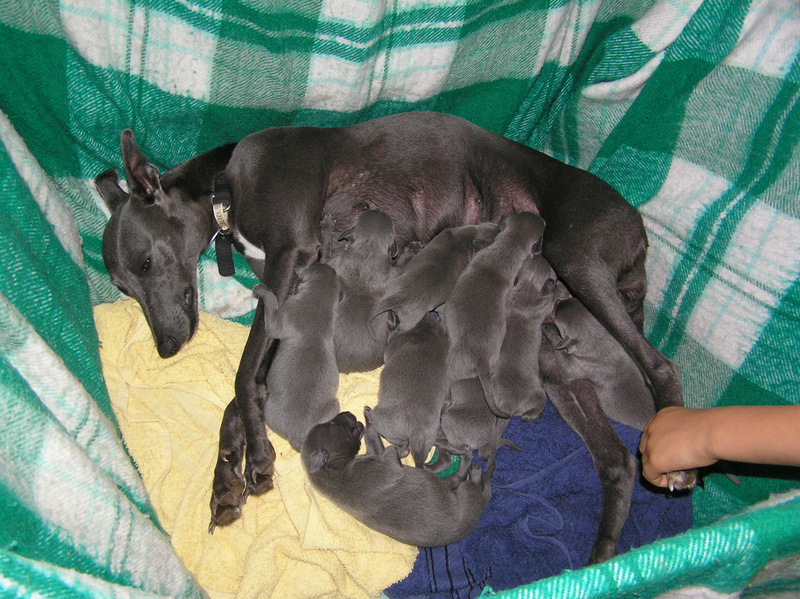 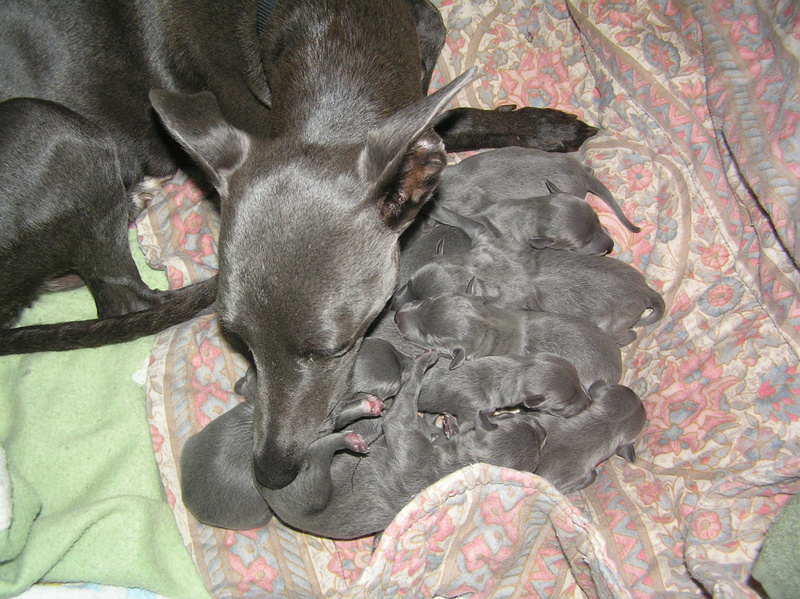 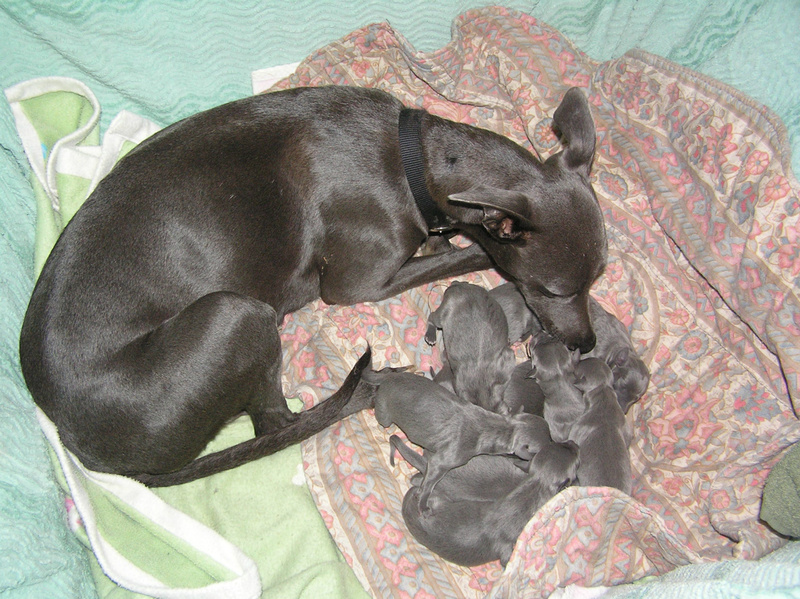 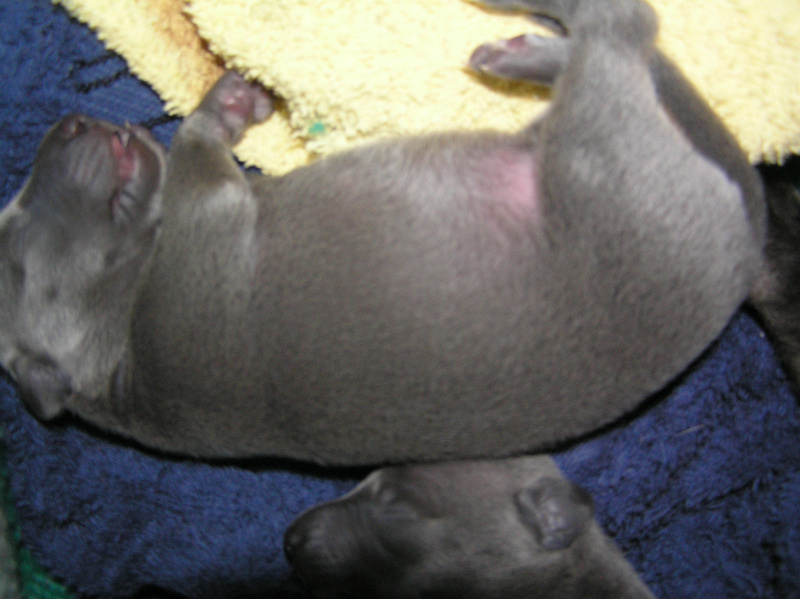 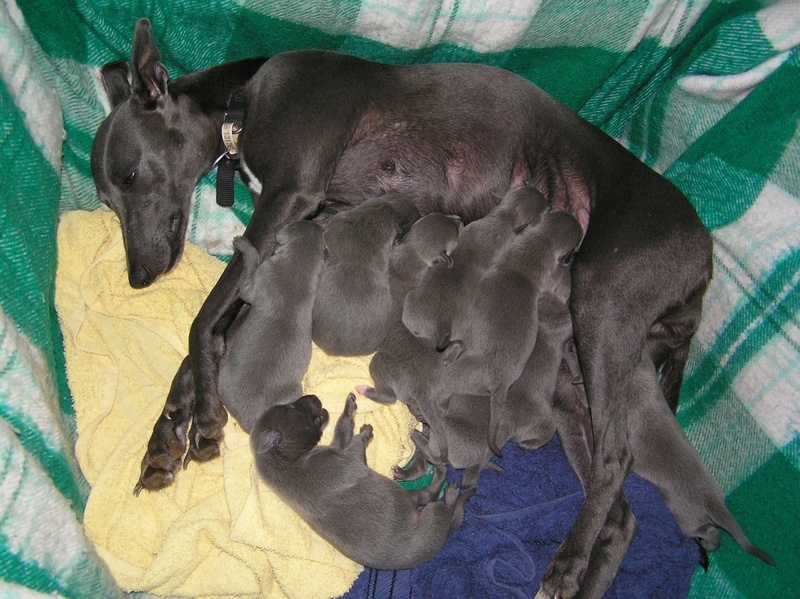 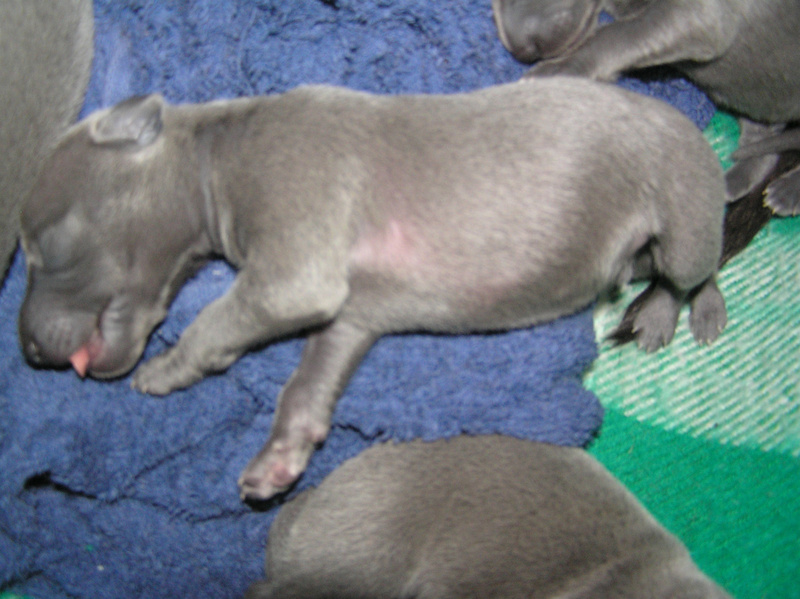 Five female and four male pups. 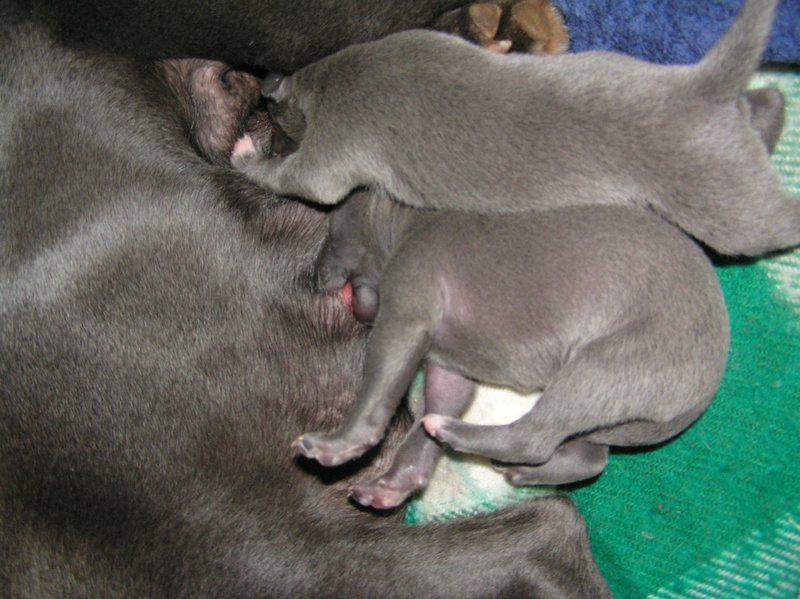 One female has more white tips than any of the others: breast, toes and tip of tail. 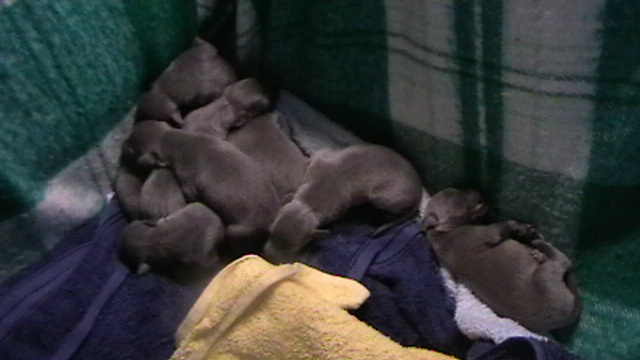 Several have very small white breast plates, and a few have some white toes, at this stage hardly visible. 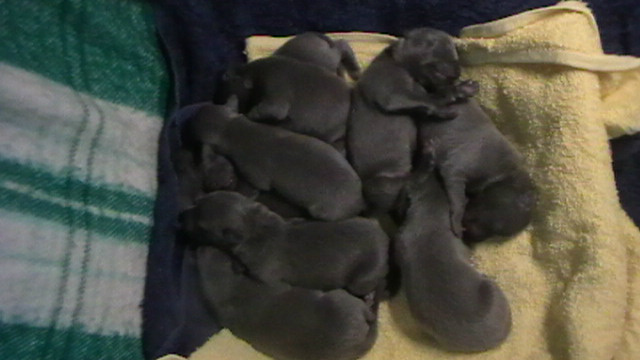 Visits to see the pups are starting 21st February! 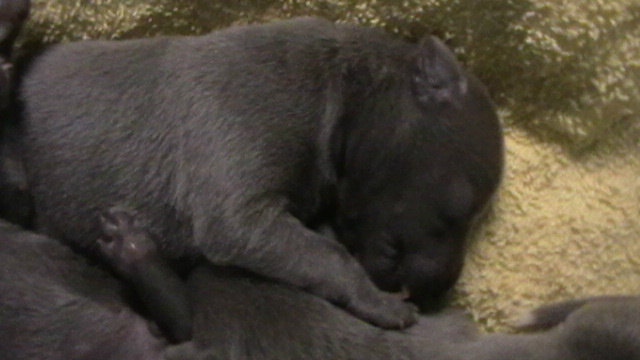 At one week all pups are well set. 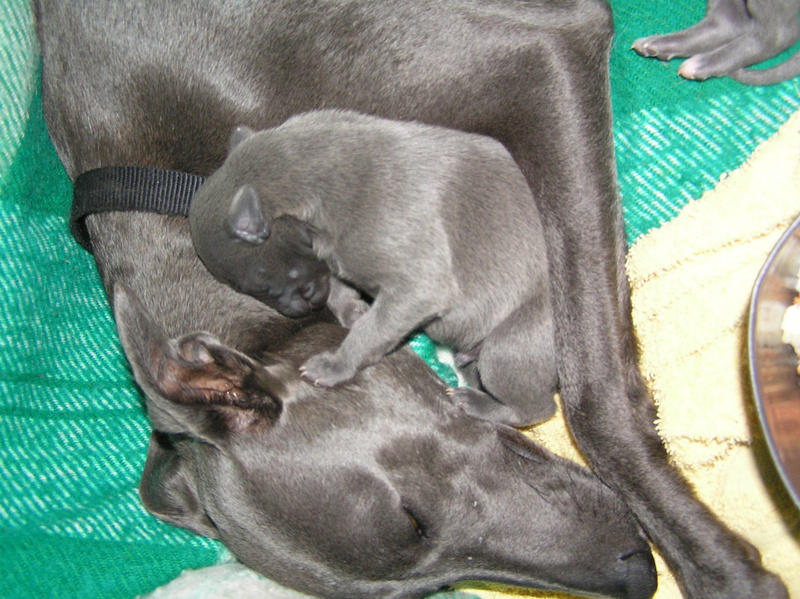 The 14 photos added here were taken 12th Feb. these photos show how the weight has been put on. 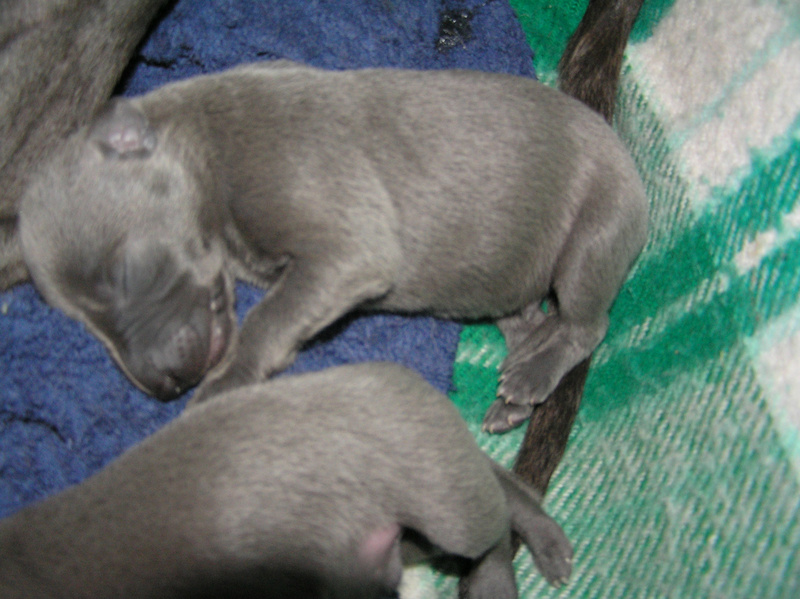 No more loose and crinkly skins as in the first three photos. 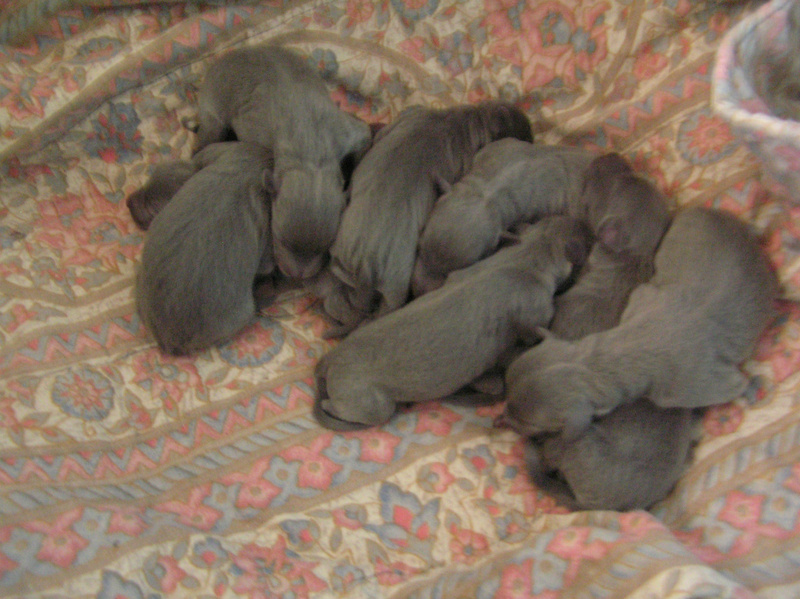 Now they are rounded and growing longer. 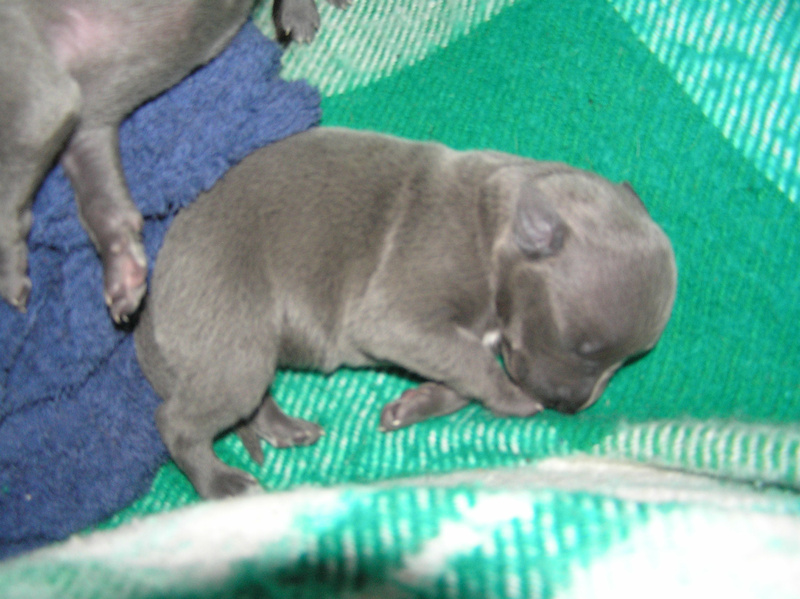 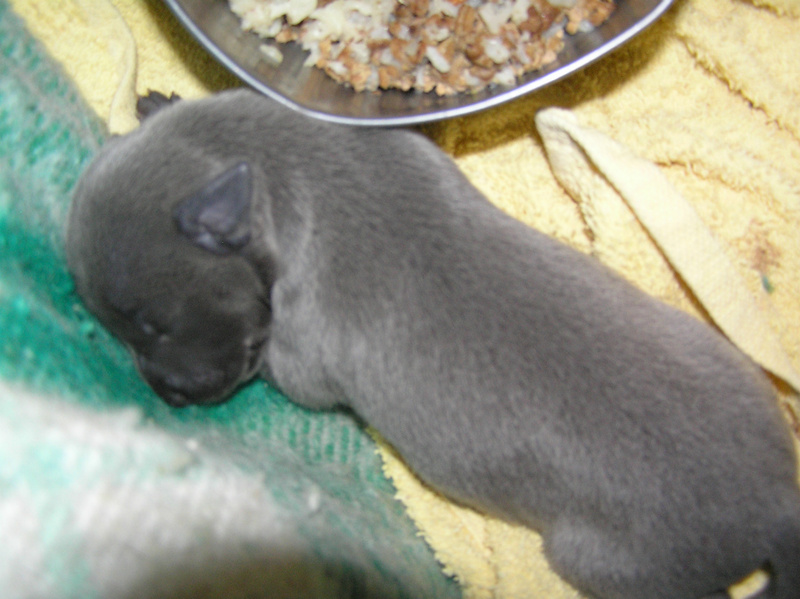 We found one pup with his/her nose in Jilli's bowl in their bed, licking slowly! 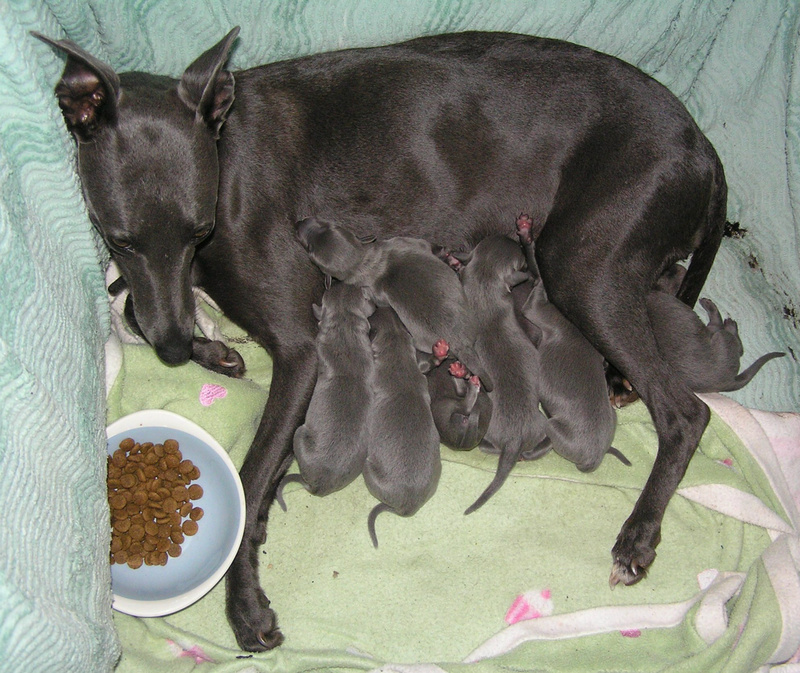 Because of this and the demands on Jilli we may add a feed of Vetelac milk soon, from a bowl rather than a dropper.